I have written well over 200 pages of text on Pearl Jam’s music, what I think it means, and what it means to me. 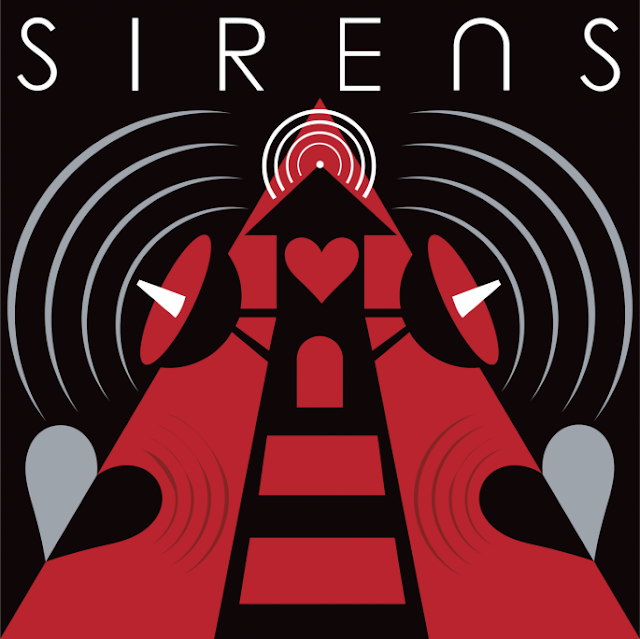 I have never felt as stumped by a song as I have by Sirens. For the first 5-6 listens I had no idea what to make of it. I still am not really sure. But if I was going to make a list of songs I thought Pearl Jam would someday write this would have been right there at the bottom. It is so puzzling because this is, in many ways, the anti-Pearl Jam song. Take almost everything you would normally expect from them, invert it, and you end up somewhere close to sirens. Early reports of this song likened it to an 80s power ballad. I was expecting something huge and bombastic like November Rain. Hell, I was looking forward to that. I find as I’ve gotten older I have a certain appreciation for songs that just go for broke, and bask in their own ridiculousness. 10 years ago my favorite karaoke song to sing probably would have been Jeremy. Today it is Total Eclipse of the Heart. In some ways, this is the textbook definition of a cheesy song. In other ways it is the opposite of cheese. There is often a calculated, manipulative quality to cheese, and this song fully embraces this type of song with the breathtaking sincerity that has always separated Pearl Jam from their peers. This is guilty pleasure that is not only guilt free, but would be puzzled by the suggestion that you should feel guilty. It’s curious. It would be a textbook definition of an ultra cheesy 80s power ballad, except there is no huge chorus, the huge solo is subdued, there is no catchy vocal melody, no hook—the things that made the cheese fun. Everything that made an 80s power ballad what it was is actually absent from here. It’s almost like you’re left with the bare bones template of that style of song. These are master craftsmen, and so this begs the questions, what did Pearl Jam choose to fill it with, and did it work? The music is very pretty, but oddly non-descript. Again, it’s almost like a template just waiting for the details that will make it beautiful. Like an undressed mannequin, maybe. There are some nice moments here and there (I really like the strumming coming out of the solo, for instance, and some nice background vocalizations), but for the most part it is unadorned, absence the lushness or desolation Pearl Jam usually adds to these songs. There is a lovely melancholy to the music, but again, it is still a blank canvas. Eddie is what fills it in. This is a subdued performance, but he sounds beautiful and sings movingly. The song primes you for power ballad excess and then hangs all those expectations on Eddie’s affecting but understated performance. Unlike everything else we’ve heard on this record, the vocal melody is not particularly prominent. So it’s all on his subtle performance and the story he is telling. For instance, the song climaxes with a gentle falsetto delivery of the lyric ‘the fear goes away’ and some delicate vocalizations, rather than the bombast we’d normally expect. It tries to sweep you away so gently you don’t notice until you’re already falling. If you let it happen it’ll be a wonderful song. If you don’t, the song will be boring. It’s a moving set of lyrics, for the most part, a story about the fear of loss that comes from being blessed by having something too precious to lose, and the gratitude for having experienced it. Eddie has covered this in The End, Speed of Sound, and Just Breathe. In some ways this is the most ambitious take on these themes. In some ways this is a song written from a very specific experience, and easier to appreciate if you can relate (as is always the case with love songs about the possession of, rather than the hunger for). If you have that person you literally can’t bear to lose (not just someone you love) it’ll be easier to get inside this song. It’s a love song, but not love in the new love/passion/bright flame sense of the term. This is the love that turns to air, that you breathe in so often you cease to notice except for those moments where something forces you to step back and see it again for the first time. The shock of how powerful it is, and how meaningful it is, can be breathtaking when you are lucky enough to have it happen. There is no experience in the world that feels more real. But if you’ve never experienced it then Sirens will seem, well, cheesy. So there we go. The song still confounds me, even ten listens in. I don’t love it. I don’t hate it. I don’t feel indifferent about it (I can easily spot those reactions). For the first time in twenty years I just don’t know what I think yet. In that respect I don’t know when I’ve last felt this challenged by a Pearl Jam song, even though this doesn’t seem like a particularly difficult song. The challenge comes from the way it plays against expectations—the expectations I have for Pearl Jam and the way it simultaneously primes you for a particular experience and then undercuts the obvious foundations for that experience. I can say this. I know that it is very pretty, but in a way that feels a little blank. Like I said above, this song, more than most of the catalog (if not all) is a canvas waiting to be filled. And Eddie fills it. But without the obviously vocal melody, chorus hooks, and the rest, it’s going to come down to learning the words, diving into the story, and letting it sweep me away. That will take time, and quiet, and not sitting in my office getting interrupted by my colleagues. If this is a song I want to belt at the top of my lungs it’ll be a massive success. If it isn’t, then it’ll be a song that comes up on shuffle, and gets the occasional listen as I try to discover if this is the time it’ll move me. But it is way too early for me to tell.